What is ‘The Woman Tax’? Being a woman comes at a cost. This cost manifests itself in many ways – from women’s unpaid labour to the gender pay gap. But the price of being a woman isn’t just about money. It’s about an endless list of burdens placed squarely on the shoulders of women. If you’re a woman, you’re more likely to be threatened, ripped off, shut out, sexualised, ridiculed, demonised or enslaved. We call this The Woman Tax. You may have experienced The Woman Tax in your own life, or know someone who has. For many of the women we work alongside in Asia and the Pacific, it is very much a part of daily life. Among our partners fighting to end The Woman Tax is ALFeLa in Timor-Leste. 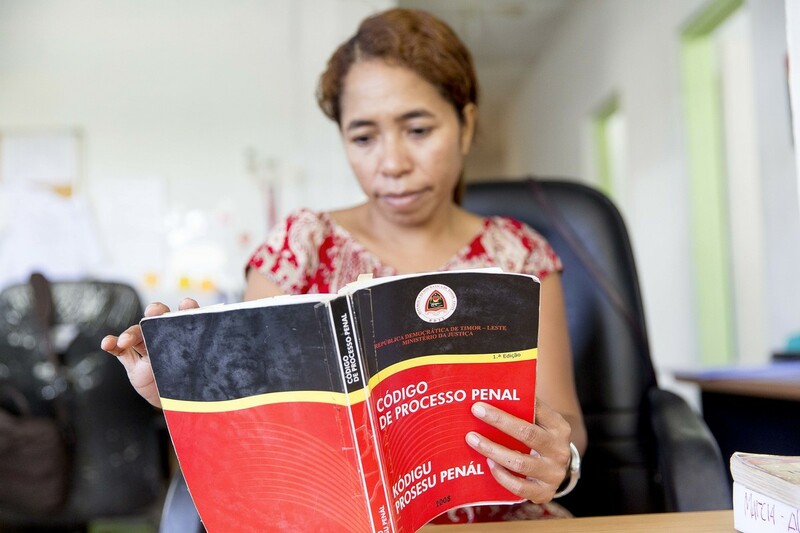 ALFeLa is the only organisation in Timor-Leste focused on legal aid for women and children who have experienced gender-based violence and discrimination. With almost 40% of women over 15 having experienced physical violence in Timor-Leste, the work of ALFeLa is critical. Marcelina is a Legal Aid Officer at ALFeLa where she counsels women on their human and legal rights. Marcelina is a Legal Aid Officer at ALFeLa, and IWDA supported her to train as a lawyer. Now, she’s one of only eight qualified Legal Aid Officers at ALFeLa. Together, they counsel women on their human and legal rights and refer them to other services for support, including safe accommodation, transport to court and counselling. They advocate for changes to increase protection for women and children. And they support women to ensure those who suffer domestic violence are not re-victimised when they take action to protect their lives. Demand for the team’s legal services is growing dramatically – ALFeLa currently has 221 active cases and average about 32 new cases each month. Marcelina explains that as women learn more about their rights, they are more likely to come to her for help. “There is a big difference between before and now. Before lawyers went looking for cases, now clients come looking for lawyers. This is a positive step,” she says. But Marcelina says they need more support to ensure no woman is left behind. “I just want to say that it’s important to continue supporting us so that we can attend to these civil cases,” she says. “I am really happy to be a lawyer working at ALFeLa because through my assistance people feel there is justice,” she says. 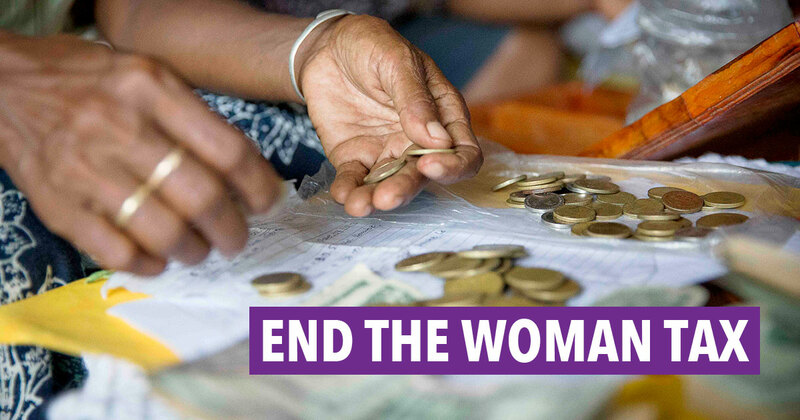 Your support will help our partners address the tax women pay just for being women.